June has been an exciting month for the team at Les 110 de Taillevent, with wins for both the Kitchen Team, winning Best in Taste at Taste of London and the Sommelier Team being awarded 3 stars in The World of Fine Wine World’s Best Wine Lists 2017. Keep on reading to find out more about our Wine Award, which adds to our Tatler Restaurant Awards Best Wine List award. 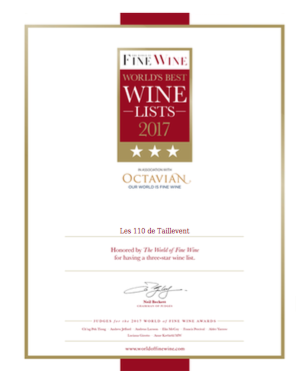 Les 110 de Taillevent and the team at our London restaurant have been awarded a prestigious three star award in The World of Fine Wine World’s Best Wine Lists 2017, in association with Octavian Wine Vaults. The awards, now in their fourth year, are assessed by a panel of judges containing some of the world’s leading sommeliers and wine writers, including Alder Yarrow, Elin McCoy, Ch’ng Poh Tiong, Andrew Jefford, Andreas Larsson, Francis Percival, and The World of Fine Wine editor Neil Beckett. The judges surveyed well over 4,500 wine lists from restaurants around the world before finalising the list. 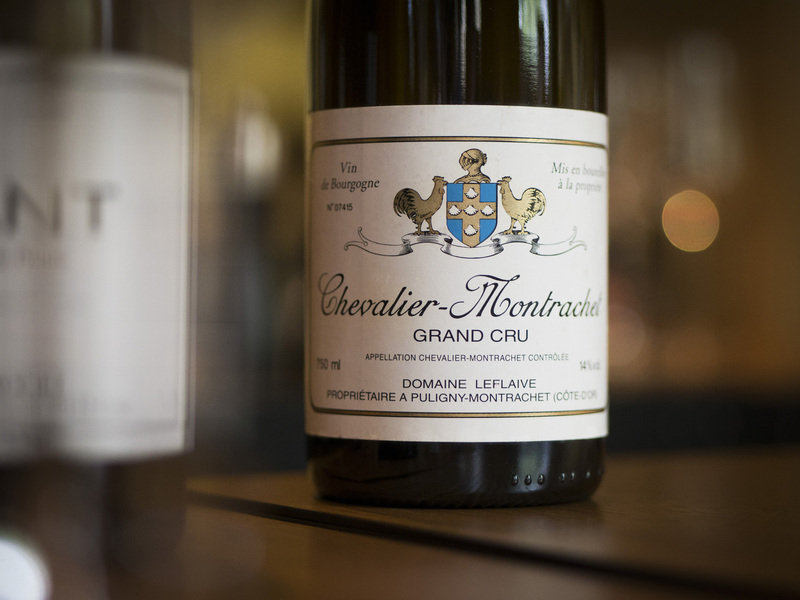 A three star award recognises a great wine list and takes into consideration a very high proportion of leading producers, established and emerging; a very good mix of vintages in terms of age, maturity, quality, and style; an extensive by-the-glass and half-bottle program; and clear evidence of originality, personality, and vision. We are proud to have been awarded this three star award in the first year of entering the Awards, and hope to develop our 1100 wine list to win more awards throughout 2017, in both London and on the international stage. Do ask us more about this Award on your next visit to the restaurant. We’ll be more than happy to show you our Certificate.